It’s the best time of the year for families. 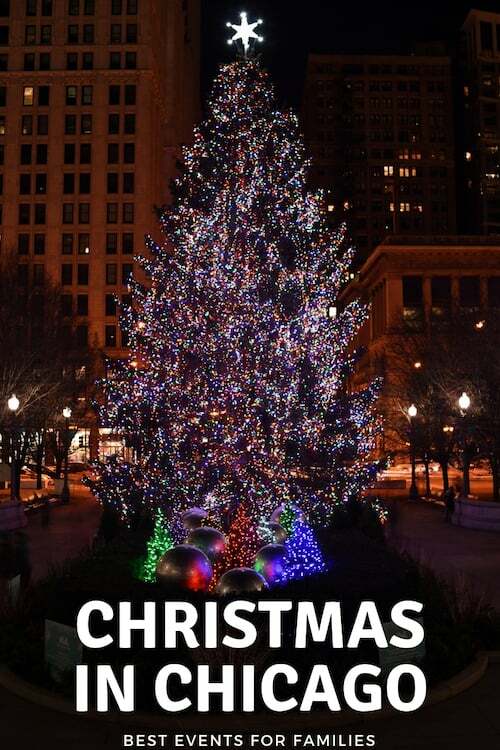 And, if you live in Chicago or are planning a visit during the holiday season, you’ll notice that Chicago goes all out spreading the holiday cheer. Whether you need to pay a visit to Santa, enjoy a peaceful ride or fun-filled walk through a lights display, or catch a holiday performance, We have the best holiday events in Chicago covered. And, who knows? You may find yourself a new annual tradition. Updated for the 2018 season! Although the start of the holidays in Chicago officially begins with the Magnificent Mile Lights Festival on Chicago’s most famous shopping street, the Magnificent Mile, there are plenty of places to be dazzled by the twinkling of lights. To make it extra special, it’s best to share the moment with friends, family, and… animals! The Lincoln Park Zoo gets transformed into a winter wonderland with over 2.5 million lights, giant character displays, and lighted tunnels at ZooLights. Santa Claus will be at the Helen Brach Primate House to hear children’s wish lists. 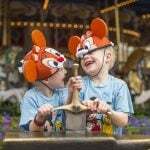 Other fun activities include train and carousel rides, ice carvings, a musical light show. Drive on over to the Brookfield Zoo, if singing’s more your thing. At the Holiday Magic event, you can serenade animals, or go to the Holly Jolly Theatre and hear local choirs sing. Besides ice-carving demonstrations and a light show, enjoy the magic of seeing more than a million lights illuminated. Listen to the 41-foot talking tree, learn about animals during Zoo Chats, and watch trains chug through at the model railroad display. Don’t forget to take a spin around the new Chicago Wolves Skating Rink. If you prefer a smaller zoo, Cosley Zoo’s Festival of Lights will be sure to please. Grab a hot chocolate while perusing the zoo’s grounds lit up with over 20,000 lights. 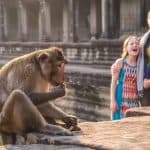 They are even offering free zoo admission during the festival. For a lights experience unlike any other, check out Illumination: Tree Lights at the Morton Arboretum where trees will respond to touch and sound, with vivid, electric colors displayed throughout. New this year will be a Crown of Light sculpture, 2 different pathways, live entertainment (and Santa! ), discounted weekday tickets, and even an “adults only” IllumiBrew featuring samples from top local breweries. 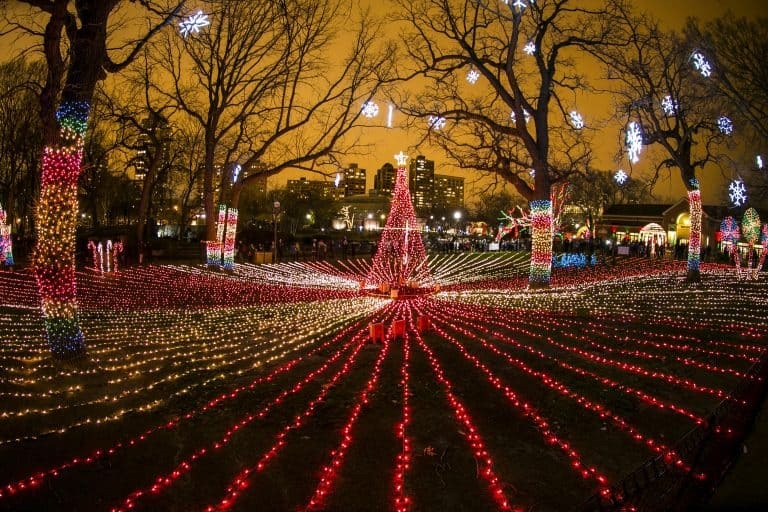 If you prefer the comfort (and warmth) of your own car while viewing light displays, one of our favorite parks, Phillips Park, boasts one of the largest light displays around Chicago. You’ll cruise through one mile and see 420 displays for the Festival of Lights. Although there is no admission, donations taken afterwards are given straight back to the community. If you’d like someone else to do the driving, the Chicago Trolley will whisk passengers past the best of Chicago’s holiday lights for their Holiday Lights Tour with stops at Lincoln Park Zoo’s ZooLights and Christkindlmarket. Guests will get a pair of ZooLights 3D glasses as well as a delicious bag of Hot Cocoa Caramel Crisp from Garrett Popcorn. 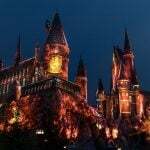 For an experience you’ll never forget, take the family on a magical Holiday Lights Chicago Helicopter Tour over the city’s skyline and lakefront and see the glittering Zoo Lights, Michigan Avenue lights, Millennium Park lights and the North Shore. The free Art on theMART’s new winter holiday lights show will delight and dazzle. As the largest permanent digital art projection in the world, the projected winter holiday images on theMART winter holiday images that will animate for a minute and a half. See more holiday lights Trekaroo families rave about around the Chicago area. 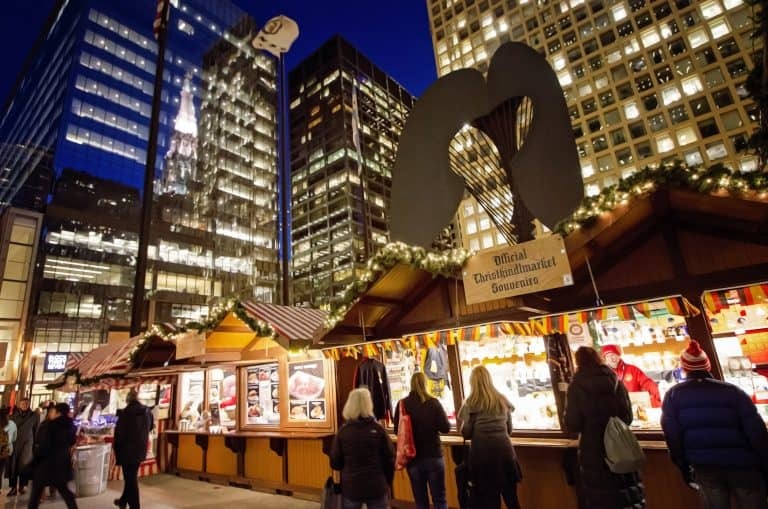 At the Christkindlmarket, celebrate the holidays the way Germans do with this free outdoor market. Enjoy schnitzels and strudels while trying to find perfect one-of-a-kind gifts. Don’t forget to grab their most popular gift—a German Christmas pickle ornament! According to lore, the pickle ornament is hung last in a hidden spot on the tree. On Christmas morning, whoever finds the pickle gets to open the first present. After shopping, let the kids loose at the added Kinder Korner where kids can participate in activities, entertainment, and prizes. They have three locations – Daley Plaza in Chicago and Naperville. One of our favorite places, the Museum of Science and Industry, highlights the city’s cultural diversity during the holidays with its Christmas Around the World and Holiday of Lights exhibit. What started as a single tree dedicated to the Allies of WWII, has now become one of Chicago’s most popular traditions where more than 50 trees are festively decorated by different cultures. MSI also boasts a 45-foot Grand Tree in the Museum’s Rotunda, adorned with over 30,000 twinkling lights and ornaments. Every weekend enjoy traditional dances and songs by performers of different countries. There is a plethora of events that are unique only to Chicago. Stop by Millenium Park for fun holiday activities such as caroling at the famous Cloud Gate aka “The Bean.” Want to spend more time at the park? 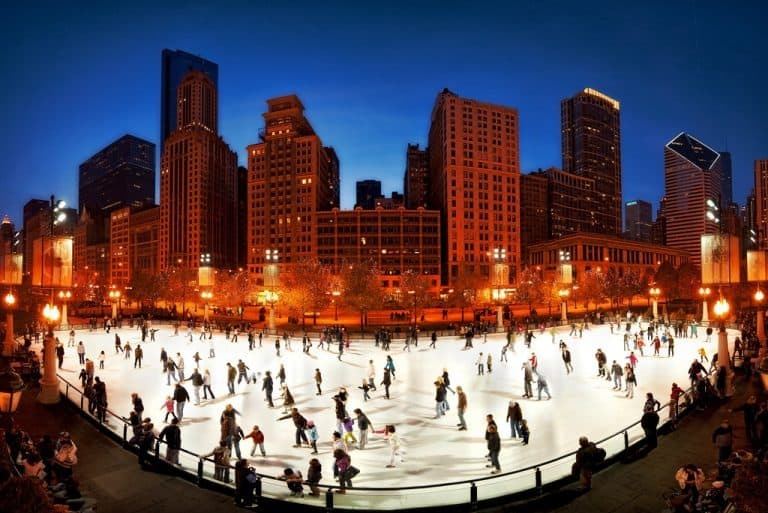 Don’t forget to bring your own skates and go ice skating for free at the McCormick Tribune Ice Rink. No skates, no worries, you can rent them. If you’re holiday shopping on State Street, it’s hard to avoid glancing at Macy’s window holiday displays all decked out in their holiday glory. After seeing the elaborate displays, step inside for a bite (or to escape the chilly weather) at the world-famous Walnut Room noted for being the first restaurant opened in a department store. 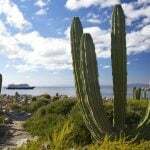 Need an escape from the cold weather? Head indoors and visit Winter Wonderfest at the famous Navy Pier where you can go ice skating, ride a Ferris wheel, Kringle Carousel, Reindeer Express train, slides and obstacle courses, and view displays—all while you are indoors. Check for amazing deals on family-friendly hotels in Chicago. All Aboard! While there is no shortage of Polar Express train rides around Chicago, the problem is that most of the Polar Express rides have already sold out or have a waitlist. (For an extensive list, please see Santa in Chicago. ) Don’t worry! There are plenty of train rides and activities for your little (or big) train fan! 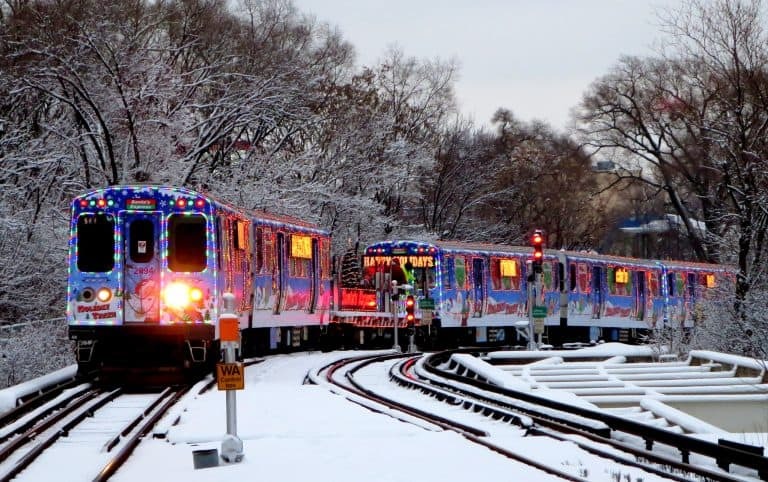 One of Chicago’s most popular events, the Holiday Train, happens aboard Chicago’s CTA elevated train, the “El.” Even in the most frigid temps, you’ll find Santa outside on his sleigh while his elves hand out candy canes to passengers inside the train car. I happened to catch the Santa train on my normal commute home, and I couldn’t help but leave with a smile on my face. Not only will Santa hop aboard the train, but those on Santa’s “good list” at the Happy Holiday Railway at the Illinois Railway Museum will give gifts to children and serve treats. The Polar Express Train Ride will whisk families from Union Station to the North Pole while enjoying cookies and hot chocolate. Don’t forget to wear your pajamas! Any train fan will love seeing trains chugging through decorated winter and holiday scenery. The Chicago Botanic Garden takes its outdoor garden indoors for its Wonderland Express. Mini railroad trains wind their way through Chicago landmarks. If you can tear your little one away, you can also view a gingerbread display or be dazzled by holiday lights. On certain days, drop by for family activities, holiday movies, carolers will be serenading visitors and ice sculptors creating masterpieces. The Enchanted Railroad at the Morton Arboretum attaches a camera to its trains so you’re able to “see” through the train’s eyes. Interested in more holiday train fun? See Trekaroo’s list of Holiday Trains in the Chicago area that will be sure to make your little train fan happy. Santa Claus is coming to town! Kids and dads won’t mind getting up bright and early for breakfast if it’s at Soldier Field. Reserve your seat at their Breakfast with Santa. Other activities include an ornament contest, an elaborate train display, and decorating cookies for you (or Santa). If the young ones love animals, you can combine their love of Santa and animals at the Shedd Aquarium where families can enjoy the Holiday OneWorld show. For a special treat, join the fun at the Special Holiday Breakfasts where you can meet Santa and watch a 4D version of the Polar Express. Kill two birds with one stone with a trip to Fashion Outlets of Chicago where you can get your shopping on and see Santa at Santa HQ. Using digital tools, kids can test out if they are naughty or nice on the “Naughty or Nice O’Meter,” take an “Elfie Selfie” or use “Elf-Ray Vision” to explore a magical world of Santa’s elves. Visitors can also enjoy a synchronized holiday light show featuring over 10,000 individual lights orchestrated to the tune of Carol of the Bells. What a fun, unique, and free experience! During weekends in December, take an elf-guided tour at Swissotel Chicago’s Santa Suite complete with a letter-writing station, face painting and kids crafts, complimentary hot chocolate bar, holiday cookies, candy and fairy floss, and a cash bar for adults. 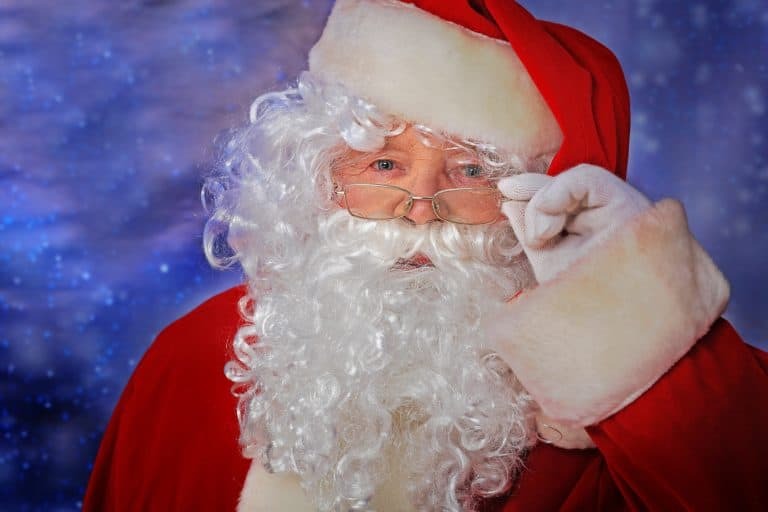 Don’t forget to have your Christmas wish lists handy as you step into Santa’s office and meeting the man himself. Want more places to see Santa? 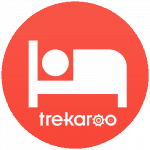 Check out where Trekaroo families are finding the jolly man around Chicago this year with this list. Get into the holiday spirit by watching a show! 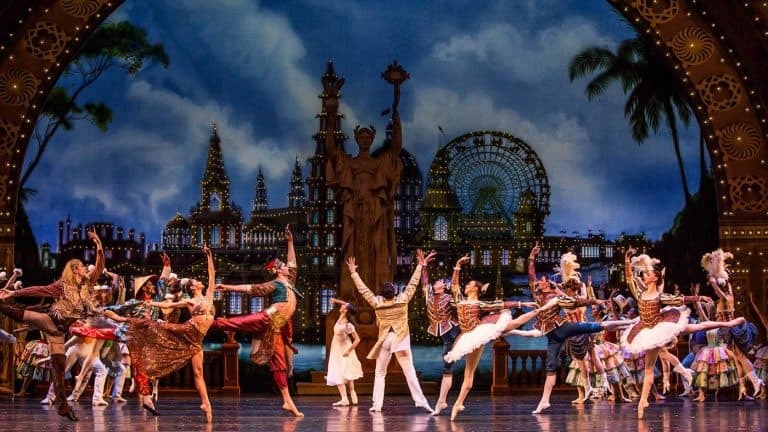 Come see the newly re-imagined rendition of the Nutcracker by The Joffrey Ballet. Besides watching the dancers perform beautifully, you’ll also hear local children’s choruses, and local dancers participate in this holiday classic. Families interested in another classic will love watching the Dickens’ tale come to life with A Christmas Carol at the Goodman Theatre. Drury Lane in Oak Brook makes everything extra special by including either a breakfast or dinner meal along with a performance of A Christmas Carol. The Grinch makes an appearance at the Chicago Theater with Dr. Seuss’ How The Grinch Stole Christmas! The Musical. 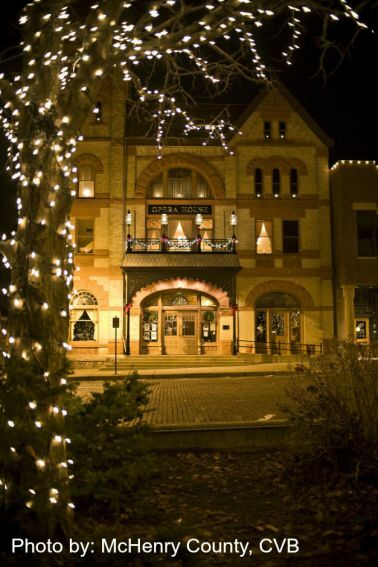 If you have visions of an old-fashioned Christmas, venture outside the city to Long Grove. 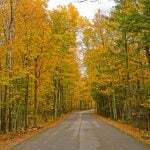 As Illinois’ first historical district, you’ll instantly feel the charm of this small town. With Victorian building trimmed in lights and cobblestone walkways, the spirit of the season will surely be felt. Ride on a horse-drawn carriage, find the perfect gift at one of the many quaint shops, listen to strolling holiday carolers, or even see Santa strolling through the village. Hop on the Holly Trolley to view all that this quaint town has to offer. For more good old-fashioned fun head to the western suburb of Geneva for its Christmas Walk and House tour. Stroll by decorated holiday windows or witness chestnuts roasting on an open fire. The Ellen DeGeneres show stopped by Geneva and had nothing but good things to say about Geneva’s special holiday event. See the footage here. Woodstock is also known for their Victorian-style Christmas with an annual lighting of the square, a Christmas parade, and a Christmas Tree Walk at the Woodstock Opera House. Come visit on the weekends to ride the free horse-drawn carriage rides. Check for availability of family-friendly hotels in Chicago.